A multi-hued, dynamic celestial sky dominates in the “Connection” design. 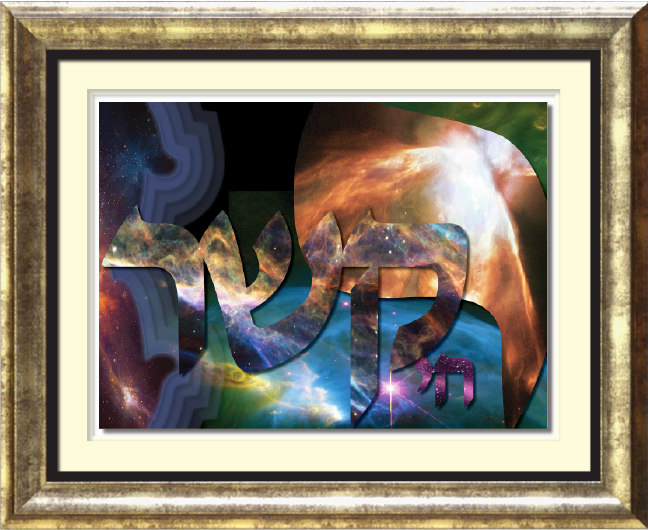 A large Hebrew letter “yud” appears on the right side. Within, is an image of light coming from our Creator, down to us. This letter represents Gd’s essential and concentrated power, and our spiritual desire to be closer to this source. 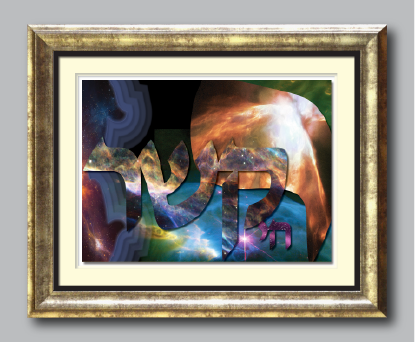 On the left, are a total of 10 chamsas, 10 being the numerical value of the letter “yud”. 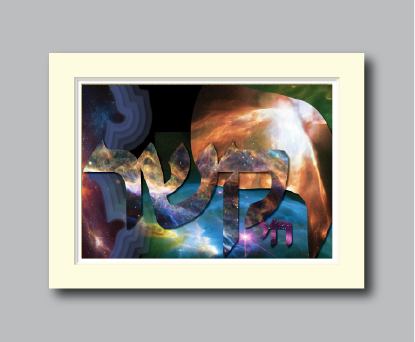 These chamsas, or hands, are extended to us in partnership from Hashem. An abstract version of our planet earth floats in the background, again reminding us of our connection to Gd.